Ideal ornament to give free range to your creativity. 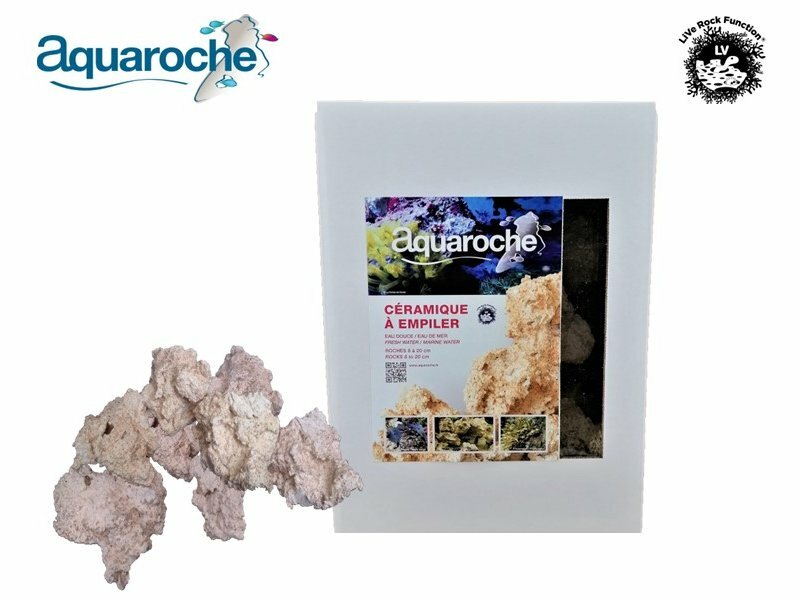 These light natural-looking ceramic rocks, with irregular shapes enable you to easily build grottoes, arches and all sorts of arrangements in order to create solid rock- built environment where fish feel at home. 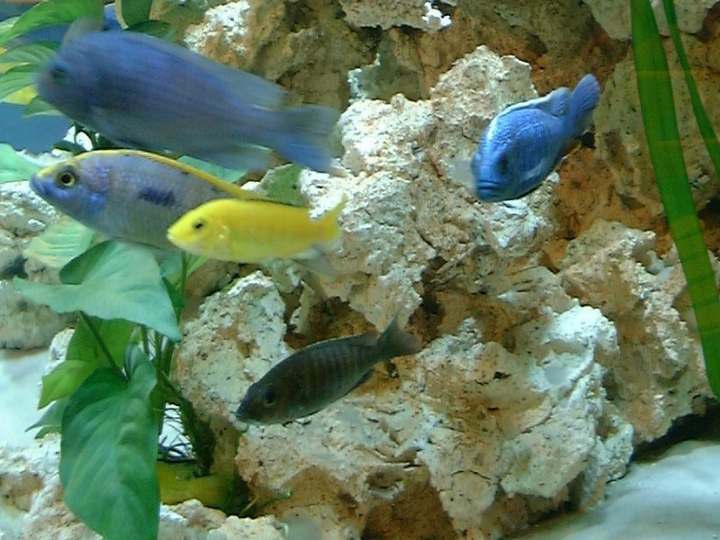 In fresh water, as well as in marine water, these rocks contribute positively in the equilibrium and ecosystem of the aquarium. In a few months, a matchless patina will give a very natural effect. 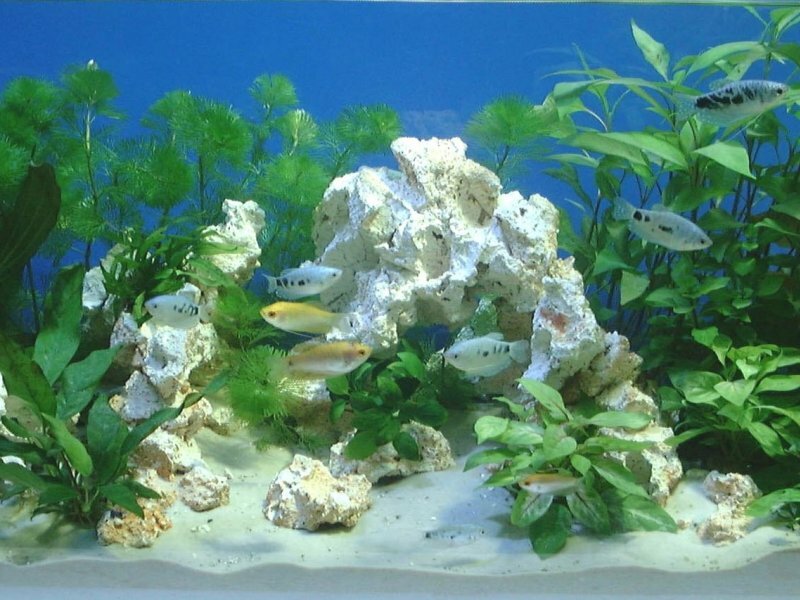 Used singly or together with our other ranges, they offer a great number of possibilities to decorate different aquariums. 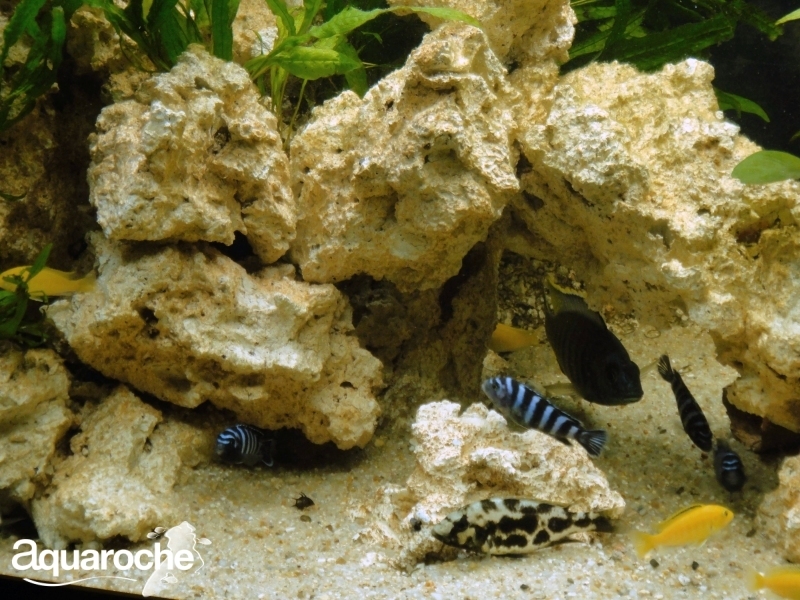 These open-structured rocks with cavities, fissures and many other smaller openings provide shelter for a varied micro-fauna. 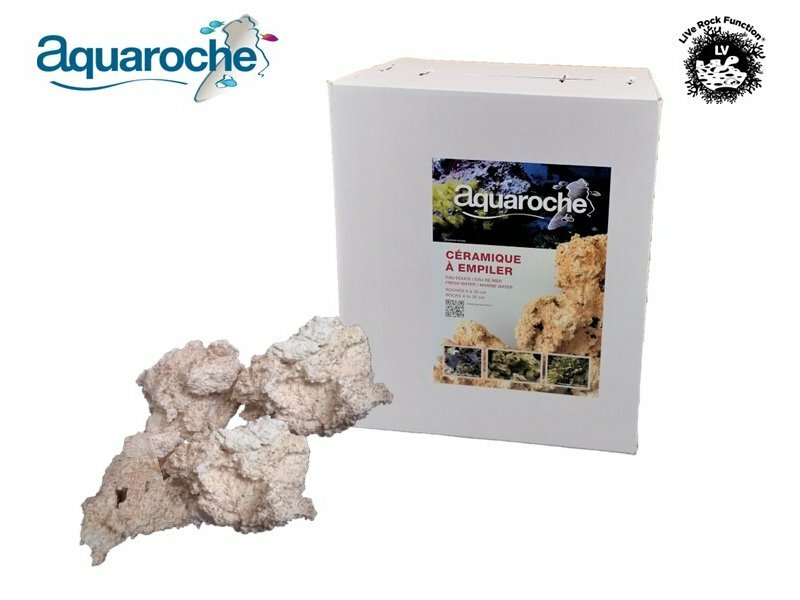 The porosity enables a great deal of bacteria and micro-organisms to flourish and the whole arrangement becomes a filtration medium (similar to those used in filters). 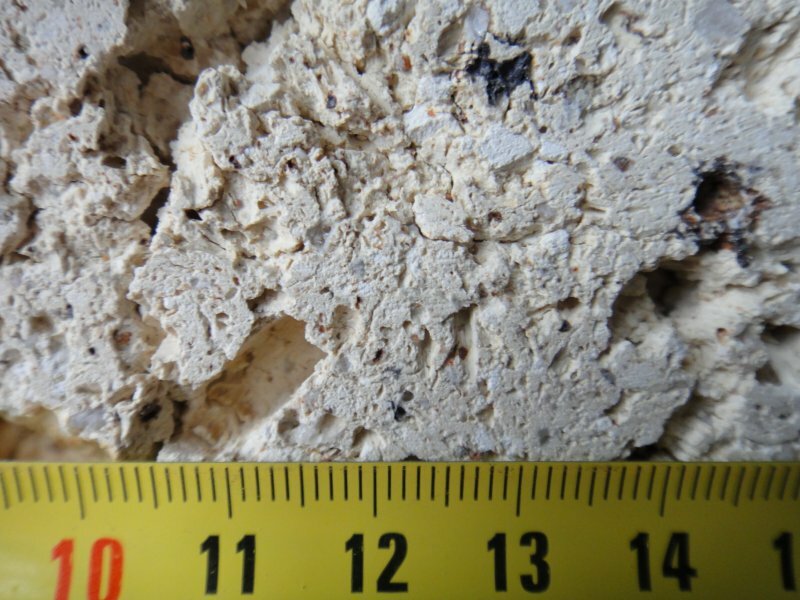 Close up view: enlargement of the section of a rock corresponding to 5 cm. 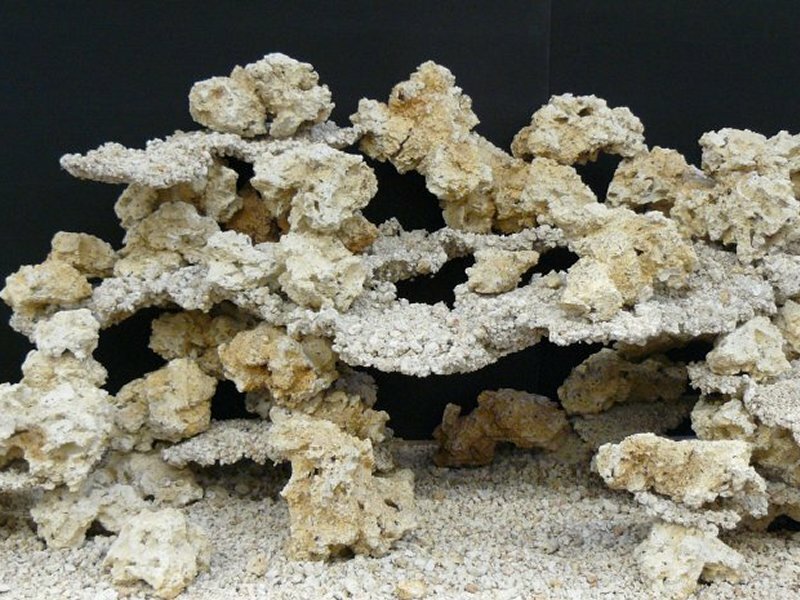 One can see fissures, going deep into the rock and connecting with a net of cavities of 100 up to 500 µ. 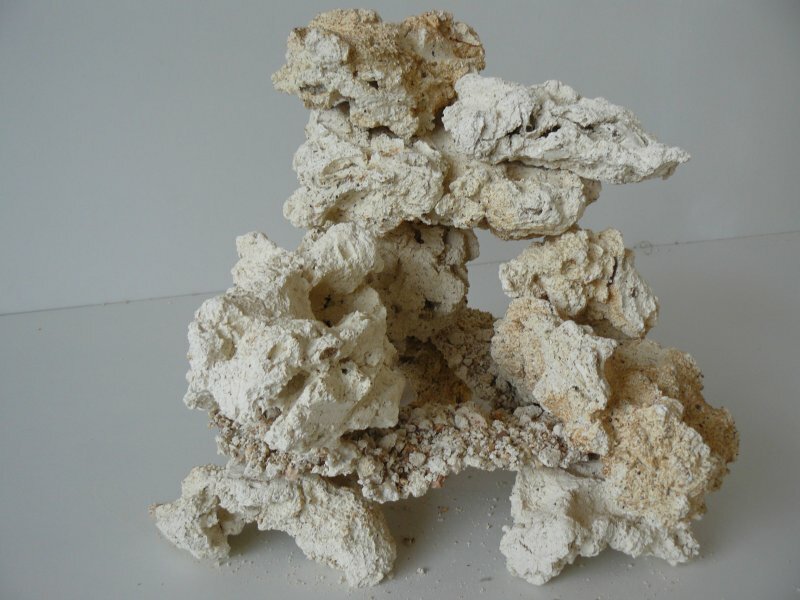 These cavities are themselves perforated with pores from 20 to 100 µ. Purifying bacteria (1,2 to 1,5 µ) can thus develop into the heart of the material with a good supply of substances to absorb. 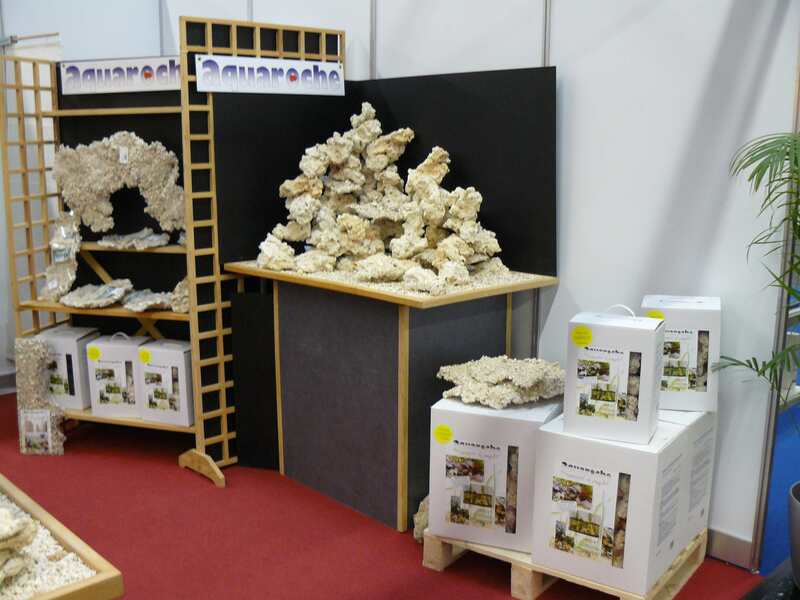 In reef aquariums, together with live rocks, these ceramic rocks will be colonised in a few months. 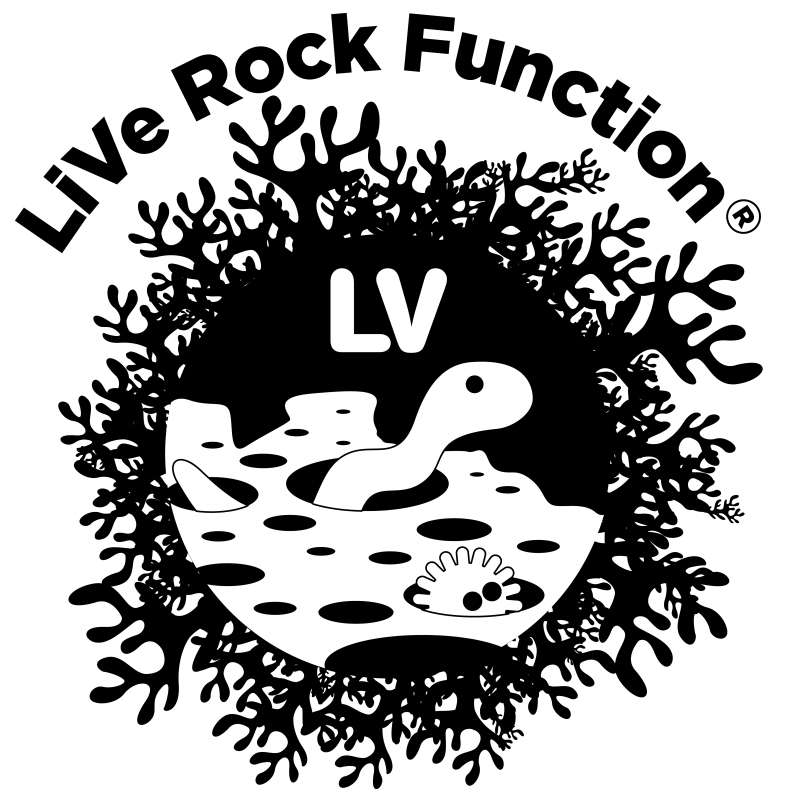 For more information “live rocks” pages. 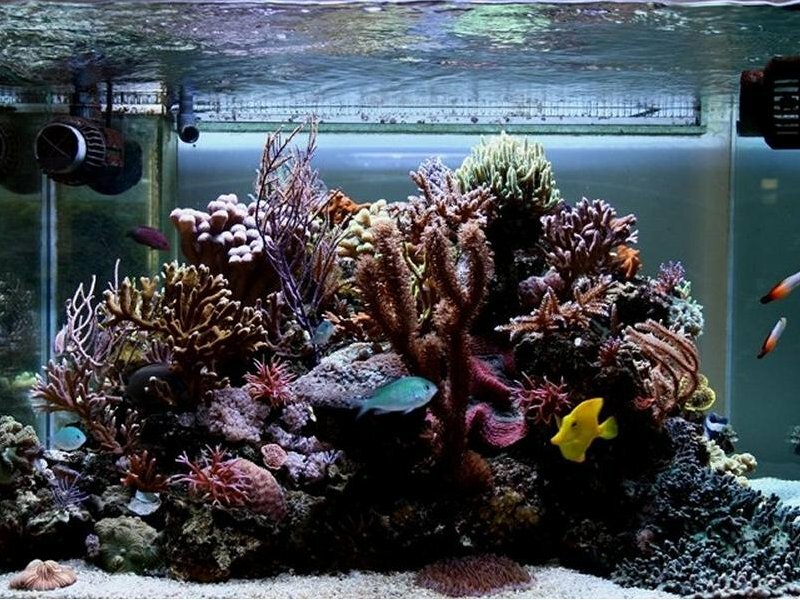 Which quantity for which aquarium? 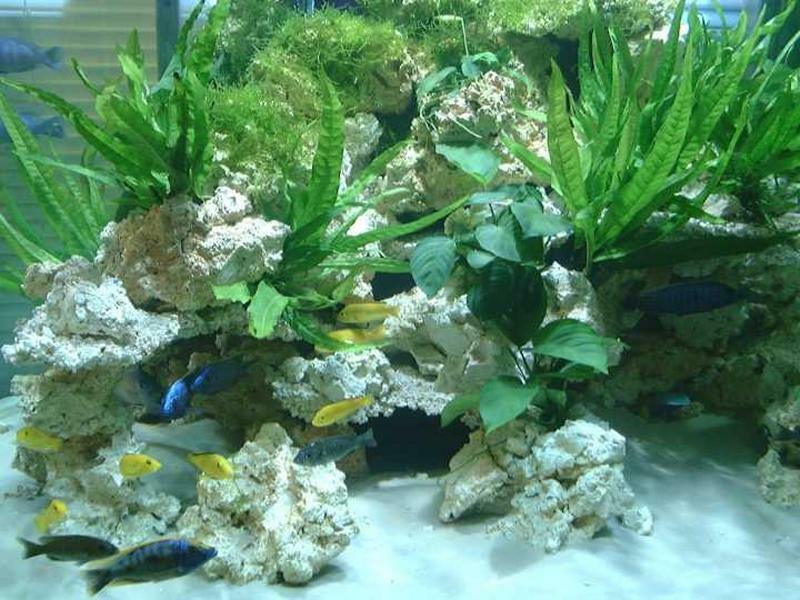 Live rock function, neutral, for fresh and marine water.